When it comes to the question of refugees many Britons are probably both confused and distressed. Coverage of the issue in the media is likely the single greatest cause of this. The habit of the media of speaking in terms of ‘migrants’ as opposed to ‘refugees’ encourages many people to see those looking for a way to Europe as merely pursuing economic benefits. The horrors they are fleeing fade into the background and are overlooked. The fearful message with age-old racist overtones comes to dominate: they want our jobs, our benefits, our NHS and doubtless our women as well. It’s safe to say that anger and fear at present have the upper hand. Nationally and globally we’re indulging in an extraordinary outburst of xenophobia and racism. Hence – to give just one largely ignored example – the five young men who drowned on Britain’s Camber Sands last August were initially assumed to be illegal migrants coming ashore. Why? Surely not because they were brown-skinned? Those who are sympathetic to the refugees often ask themselves whether we in Britain and Europe have lost our compassion and desire to help the helpless. They cite earlier instances of British big-heartedness on refugee issues – above all the Kindertransport of 1938/9 when the UK allowed 10,000 unaccompanied children in. By comparison, last year we were resistant to even a few hundred children some of whom in fact have a legal right to join their families in Britain. Jewish families in no man’s land between Hungary and Czechoslovakia in November 1938. Hundreds of people were deported into the border region by far-right nationalist Slovak militias and the Hungarian authorities. Being stranded in-between two countries without proper supplies for a week, the deportees were aided by local Jewish communities. Czechoslovakia, November 1938, Photo: B. Birnbach, WL15019. What is the truth in this? Has Britain become mean-spirited and selfish compared to, say, Germany, while in the past it was open-hearted and generous to those fleeing tyranny? A look at earlier refugee waves suggests that, actually, things haven’t changed all that much. Stripped of our rose-tinted hindsight, or at least, casting it in a more critical gaze, our generosity to refugees of the past doesn’t appear quite so unstinting after all. It seems that every instance of refugees seeking shelter in Britain is met with huge public debate about whether our tiny island is ‘full’, whether our fragile economy can stand the strain, whether our social and health services were really set up so that ‘they’ can have council housing and good dentistry while ‘our’ benefits are cut and we have to queue for hours at the GP. Responses from most European countries are broadly similar and the US has not distinguished itself either. President Trump has ordered a temporary ban on refugees entering the US, particularly from Syria, parts of the Middle East and Africa – riding the American and European tide of xenophobia, isolationism and racism into his new administration. 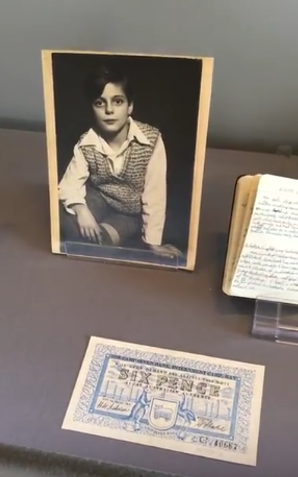 Such issues are explored in a new temporary exhibition at The Wiener Library, Britain’s Holocaust archive. Entitled A Bitter Road: Britain and the Refugee Crisis of the 1930s and 1940s, the exhibition focuses on Jewish refugees in the 1930s and 40s, and explores what we can learn about governmental and private responses to refugees. 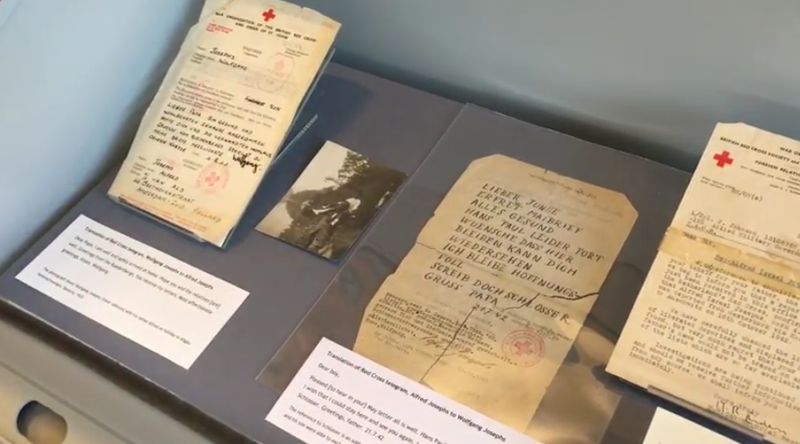 In one evocative display, refugee stories from the past have been styled to look as though they are present-day newspaper headlines, tweets and Instagram posts, while present-day stories are presented in 1940s style. The point emerges very clearly that little has changed in the perception of refugees and that a ‘language of migration’ has developed over decades, which frames migration and refugees as an intractable crisis that never goes away and that applies dehumanising and numbing terms to those in flight. This language makes it almost impossible to recognise them as fully rounded human beings who need our help. Is this a heart-warming tale of British generosity to refugees? Or should we hang our heads in shame? The Wiener Library’s exhibition is a timely and powerful look at a complex set of issues which nevertheless have a clear moral imperative. As one of the richest nations on earth we have a duty to help those in need. Having administered an empire, and been a mainstay of the slave trade, we should feel an obligation to assist the exploited and those whose humanity is denied today. 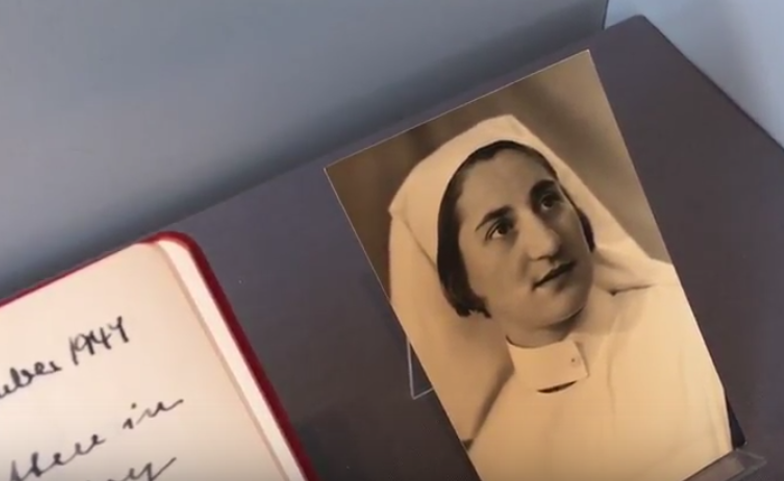 Watch these short video clips about personal stories of Ruth Ucko, Peter Johnson and Bernard Simon told through objects in the exhibition. Ben Barkow is the Director of The Wiener Library for the Study of the Holocaust & Genocide. The Wiener Library is Britain’s Holocaust Archive. Formed in 1933 by Alfred Wiener, a German Jew who became a refugee from Nazi Germany, the Library’s unique collection of over one million items includes published and unpublished works, press cuttings, photographs and eyewitness testimony. The A Bitter Road exhibition is on view at the Library until 17 February. For further details, visit wienerlibrary.co.uk. How do you talk about the current refugee situation as an educator? What kind of questions do you receive? Do you use examples of media coverage to illustrate the public’s reaction to refugees? We’re looking forward to learn about your experience.